This day is a sad one for it marks the death of Heath Ledger. The Australian actor, best remembered for his chilling performance as the Joker in The Dark Knight (for which he won an Academy Award for Best Supporting Actor posthumously,) was beloved by many. His untimely death sent shockwaves across the acting community worldwide and impacted his family greatly. His presence always missed, especially when watching his great and diverse body of work. Filmmakers Adrian Buitenhuis and Derik Murray have tackled the life of Heath Ledger in an intimate new documentary aptly called I Am Heath Ledger. The film itself is an amazing and insightful work that cobbles together Ledger’s own filming of his life as he performs to the camera and the lens. As though he were honing his feature from beyond the ether, I Am Heath Ledger is a passionate and well crafted movie that digs into the heart of this actor long gone. Heath’s unearthing of himself is brave and this impressionistic outing conveys a lot about his artistic style as well as the personality that many only touched when he poured them into his ferocious performances. The movie shpwcases his thirst for creativity and his need to embody art, and allows us a little into his mind who saw a pulsating cinematic world and wished to be a part of it. Not only that, but outside of Hollywood, Ledger was generous to friends and family and coaxed great things out of the people around him. I Am Heath Ledger is, at times, a solemn tribute but often is treated as a celebration of a remarkable time, reminding us that we were once lucky enough to walk the earth with him. The tinge of the impending loss, perhaps unwilling, fritters throughout the whole proceeding but, nonetheless, this is an outstanding feature that brings Heath’s vibrancy to the centre-stage once more. It is definitely haunting but at the same time brilliantly alive. That being said, and as great as this is, the darker parts of his life are skimmed over, such as the turbulence with Michelle Williams, his plague of insomnia, and his accidental overdose of sedatives used to help him sleep. This addiction isn’t really portrayed in the film and despite wanting to show a sunnier life of Ledger, a fully formed and rounded look at the actor’s world would have been far more truthful. I Am Heath Ledger does stand without this but lacks an element of completion. A good and engrossing documentary that’ll leave you with a yearning. Thanks for this post. 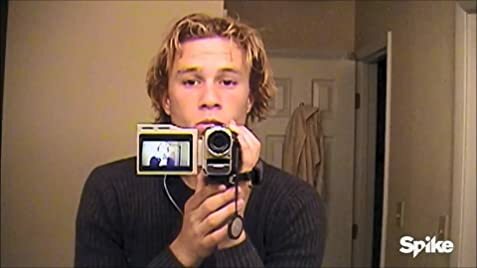 Heath Ledger was a special talent. He bridged the modern divide between movie star and actor. He had the it factor and at the same time was a truly great character actor. I remember how he stood out in Monsters Ball. So freaking sincere. Tragic.